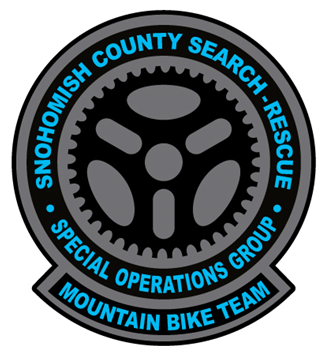 The SCVSAR Mountain Bike Team gives Snohomish County Volunteer Search and Rescue the ability to quickly cover ground where other mechanized vehicles may not be able to go. 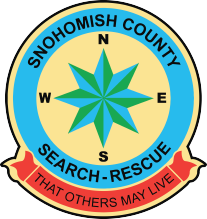 In searches where a subject is located on or near a trail that can be navigated by bike, we can often locate a missing person faster than a standard ground team. The Mountain Bike Team can also repeatedly cover a trail faster than a team on foot. This is useful for containment purposes, and for subjects who may be wandering within the search area. We can also be used to resupply other ground teams on extended searches, to transport information for verification and we can expedite the response of advanced medical personnel should a subject be located and need medical care. An e-Mountain Bike equipped team enhances these benefits not only by a reduction in time to reach the subject but more substantially by allowing the responder to conserve energy for off-bike SAR duties, should they also become required for the mission.